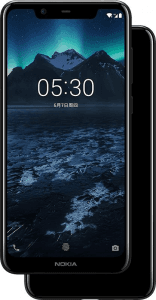 This model (AKA Nokia 5.1 Plus) comes with a 5.9-inch 2.5D-glass display with an aspect ratio of 19:9, one of the widest screen setups when it entered the market, and it resembles many 2018 photography-driven smartphones with its 13- plus 5-megapixel dual-lens rear camera. Finally, it hops on the dual-cluster bandwagon by running on MediaTek's Helio P60 engine whose two four-core clusters both run at 2GHz. Also called Nokia 5.1 Plus. 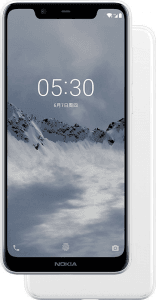 Pros and Cons Review While it could have done better than a 720p definition and an 8-megapixel f/2.2 front cam, the Nokia X5 passes 2018 mid-range benchmarks by offering specs like a 5.86-inch 19:9 display and a dual rear camera. We examine the rest of its features in this pros-and-cons assessment. (more) Nokia phones 2019 View all the most recent and upcoming Nokia phones.